The town of Jávea is a sport-loving municipality. Throughout the years it has produced many sporting heroes of which the town is always proud including tennis player David Ferrer, for whom the new Arenal promenade was dedicated, La Liga footballer Xavi Torres, young goalkeeper Adrián Ortolá who has played for Spain at U-19 level and it tipped for great things, Muy Thai national champions Paco Prats and Rosanna Chorro, basketball player Román Bas who plays for CB Lucentum Alicante, rythmic gymnasts Natalia Cholbi and Sheila Doblado, golfer Natasha Fear, tennis player Victor Malonda, yachtsmen Rafael Andarias and Javier García, women's footballer Sandra Castelló, athletes Antonio Soler, Vanesa Llobel and Siro Piña, cyclists Noelia del Castillo, Juan Ayuso and Mateo del Castillo, Gabirel de León in motorcycling - the list is almost endless and is added to each year. The success of local sportsmen and women not only on a regional and national level but also on the international stage is testament to the strong sporting heritage of Jávea. And even in these tight economic times, the town hall acknowledges the importance of sport in the development of its community and over the past few years the town has seen new padel courts, improvements to the football ground, a new trinquet for continuing the traditional of Valencian Pilota, and will soon be boasting a new state-of-the-art climbing wall and improved climbing routes in Ambolo and Santa Llucía. There is a thriving golf community making use of the many facilities in the region as well as emerging disciplines such as SUP (Stand Up Paddling), triathlon, and much, much more. Jávea offers just about every kind of sport for every taste - it's so much more than sand, sea and sangria. 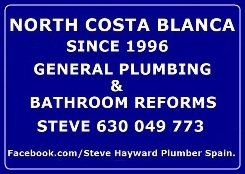 CD Jávea have been part of the community of Javea for almost 75 years. Very much a provincial club, the rojiblancos have rarely breathed the purer air of the upper echelons of the Spanish league pyramid but have established themselves as one of the more progressive lower league clubs in the region. Occasional spells in the Third Division have interrupted an otherwise solid presence in the Valencian Regional Preferente, one of the best regional set-ups in Spain. In 2012 it created its first ever women's team which won the league and won promotion in the first season as a competitive football team. The club has had a modest ex-pat following for some years, many of whom follow the team home and away during the season, and in 2008 the club featured in a Sky Sports special on the impact of ex-pats in local football in Spain. 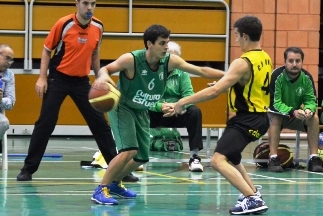 Club Basquèt Joventut Xàbia has been representing the town for almost 50 years ever since a group of high school students got together to form a basketball club to compete in federated competitions. They finished third in their first competitive season and have grown with the aim of creating a special basketball family in Xàbia. 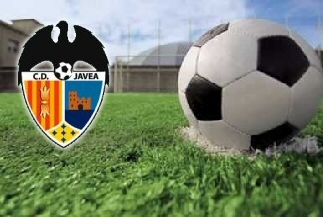 The men's senior team play in a regional league extending across much of the southern part of the Comunidad Valenciana whilst the women's senior team plays in a regional league that represents the Marina Alta. The club has more than a dozen teams including a youth academy to develop the skills that have seen players from Xàbia go on to play at a national level, most recently Roma Bas. The club plays its matches at the Palau Municipal d'Esports "Miguel Buigues Andrés" named in memory of a former player. 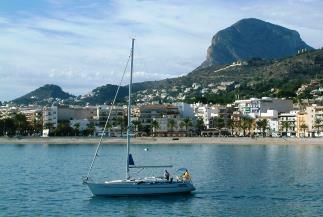 Jávea is in a perfect position to enjoy the multitude of water activities that are offer these days. Sailing is a prime favourite with locals and holidaymakers alike and the port of Jávea boasts 'Club Nautico de Jávea', a yacht club that has great history, tradition and renown across the whole of the region, providing not only sailing opportunities but also fishing excursions and diving expeditions. Kayaking is also very popular across the coast with various groups offering trips to explore the hidden coves and caves nestling amongst the high cliffs whilst SUP - Stand Up Paddling - has become the latest addition to the many water activities available in the town throughout the year. In addition, the Benissero beach is a popular surfing location in the region whilst there are many diving clubs offering lessons and expeditions. A heaven for cycling enthusiasts, Jávea offers plenty to experience for those on two wheels and is in a perfect position to act as a base for those wanted to explore the region by bike. 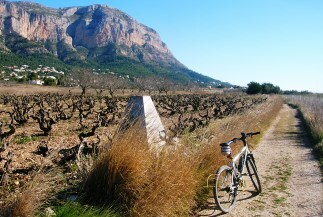 There are several cycling clubs based in the town, not least the Club Ciclista Jávea which has produced several regional and national champions, as well as the Club Ciclista El Gurugú and Club Ciclista Xabia's Bikes, both of whom offer the attraction of off-road cycling. In addition, a dozen dedicated cycling routes have been designed and developed by Guiomar Ramírez-Montesinos, a passionate female cyclist who in 2011 deservedly won a special award for her dedication to promoting the sport in the town. Her routes allow all ages and abilities can enjoy the town's natural beauty on a bicycle. Visitors can hire bikes from several points across the town. Jávea has been producing quality tennis players for some years, not least David Ferrer who has ranked as high as number 3 in the world during 2013 and was part of Spain's Davies Cup team that triumphed in 2008,2009 and 2011. In 2013, the council dedicated the new Arenal promenade in his honour. And there are upcoming future stars such as Victor Malonda, a product of the Ferrer Tennis Academy based at the Club de Tenis Jávea in the Arenal. There are several public and private tennis courts across town including Paris 24 Club de Tenis in the Arenal and Los Pinos Club de Tenis in Balcón al Mar as well as many more in the immediate area. 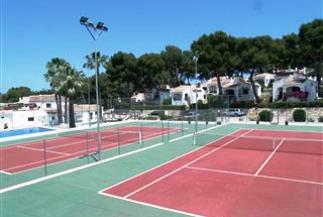 Some villas even have their own tennis courts in their backyards, nestling nicely next to the swimming pool. Throughout the year many of the tennis clubs offer coaching courses. Although the exact origins of Valencian Pilota are not known, it is certainly more than six centuries old and maybe even older with some evidence that it derived from the French medieval game of 'jeu de paume' which was first documented in 1292. Over the centuries, the game has evolved into what we see today: Valencian pilota and its variants - Llargues, Escala i Corda, Raspall, Galotxa and Galotxetes. 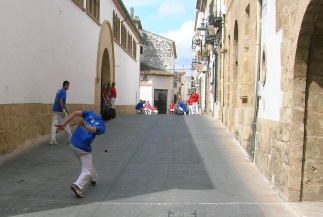 It is played throughout the Comunidad Valenciana with certain areas having its own preferred variants of the game which can be played in the street or in special walled courtyards called 'trinquets'. There has been a marked resurgence of interest in the game in recent years and there are almost 150 'trinquets' in the region, including Jávea which opened its new building next to the football ground in April 2010.